This is an In-person service with telephone hypnotherapy also available because you are not always able to attend sessions in person. Sessions last 1 hour with the exception of the first session which is 2 hours. 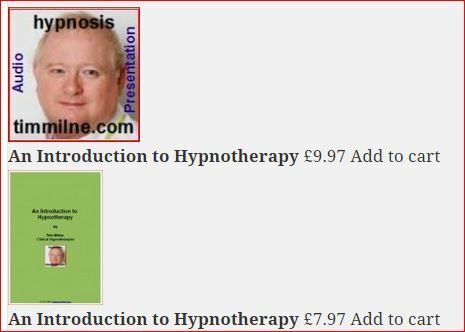 Hypnotherapy is a fast process – it usually takes only 21 days to get the required results. On average it takes only between 3 to 6 (weekly) In-Person sessions to get results and this includes the client listening on a daily basis to the recorded session – usually before sleep. It is rare for a course of hypnosis to go beyond 6 sessions. I like to review progress when using the telephone only so the session packages are only up to 3 sessions.